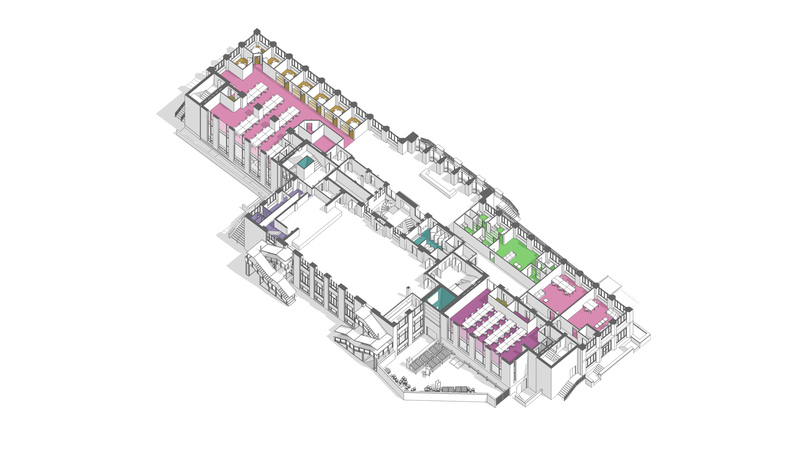 Additional floor space was required at the University’s Steve Biko Building, home of the University Students’ Union. Two courtyard infill extensions provide this additional space whilst an internal remodel and complete M&E refurbishment allow for synergy of the old and the new whilst also addressing long term maintenance priorities. 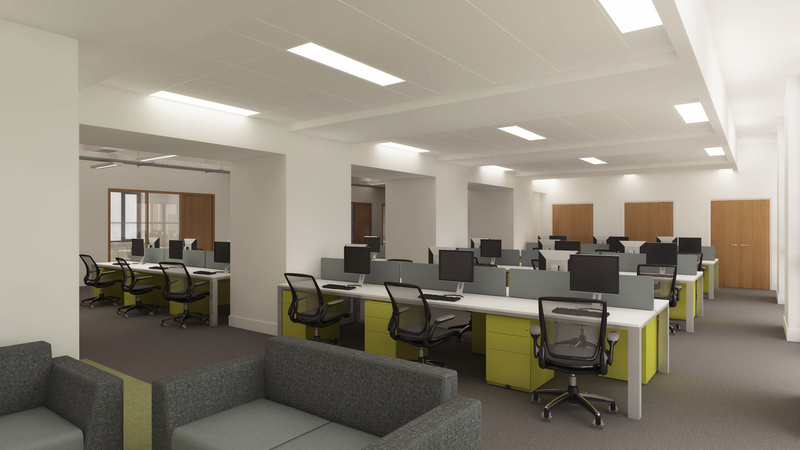 The Students’ Union has also provided additional funding to uplift the specification of the commercial areas. 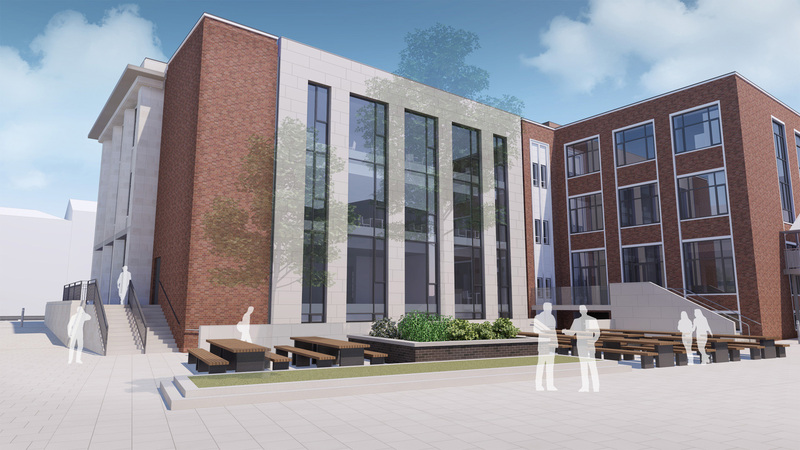 The design seeks to build on the quality of the commercial areas of the building whilst enhancing and extending the facilities for the student facing areas which are the essence of the Students’ Union. Strong infrastructure within flexible open plan spaces allows for simplified orientation whilst providing identity at each level. The designed exterior presents a contemporary take on the existing building. 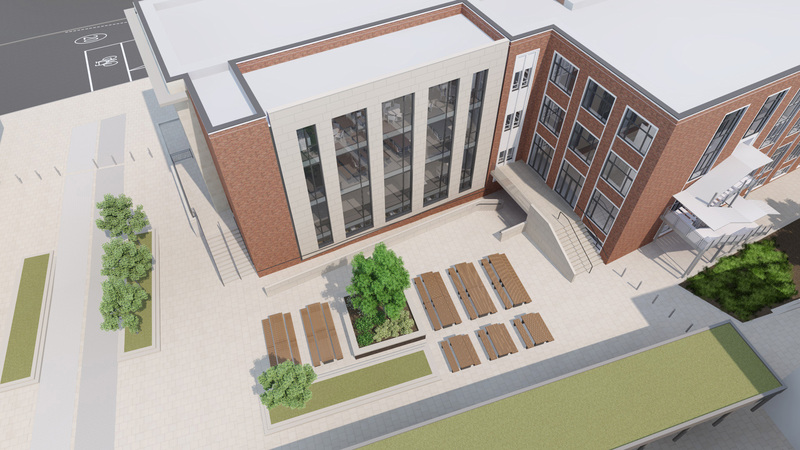 The current west elevation is simplified with a façade that uses a limited palette of materials. The use of bold forms reflects the rhythm of the existing building, and the introduction of a façade skin with deep window provides articulation to the elevation.